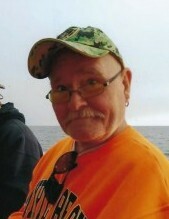 Thomas Edward “Tom” Campbell, 68, of Springfield, passed away March 17, 2019 in his home surrounded by his family. He was born May 27, 1950 in Springfield, the son of Gaylord T. and Geneva (Allen) Campbell. Tom was a veteran of the US Navy. He was retired from the Mueller Center where he worked as a registered nurse. He was a member of the Lil Country Church, Amvets, and VFW. He was an avid hunter and enjoyed fishing and mushroom hunting. Survivors include his girlfriend, Judy Wolf; two daughters, Julie (Rick) Snider and Crystal Cyphers (Corey Jewell), all of Springfield; grandchildren, Tommy, Yvonne, Mason, Casey, Seth, and Baylee; great-grandson, Leo; siblings, Dave Campbell of S. Vienna, Stella Smith, Deborah (Ernie) Kiss, Pam (John) Porter, Patricia Hinish, and Linda Reed, all of Springfield; and several nieces and nephews. He was preceded in death by his wife, Patty Campbell in March 2001; son, Thomas Gaylord Campbell; brother, Johnny Reed; sister, Rose Morgan; and his parents. Funeral services will be held at 2 p.m. Thursday in the JONES-KENNEY-ZECHMAN FUNERAL HOME. Friends may visit with the family for one hour prior to the services. Burial, with military honors, will follow in Newcomers Cemetery. Condolences may be shared at www.jkzfh.com.